Japanese slugger-pitcher Shohei Ohtani will be playing in Southern California next spring — he just won’t be playing for the San Diego Padres. The two-way phenom has chosen the Angels, his agent announced Friday afternoon. Ohtani, who bats left and pitches right, was the most coveted free agent this season. As many as 30 Major League Baseball teams were after the 23-year-old star, with the Padres landing in his top-seven picks, along with the Mariners, Rangers, Dodgers, Cubs and Giants. Ohtani’s decision was particularly painful for the Friars, as the Japanese star has several connections to the club. 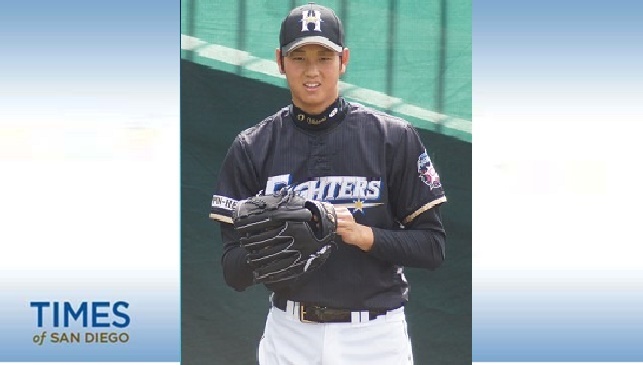 Seiichiro Nakagaki, the Padres director of sports science was Ohtani’s trainer for the Hokkaido Nippon-Ham Fighters. In addition, former Japanese big leaguers Hideo Nomo and Takashi Saito work in the ball club’s front office. It was unclear how seriously Ohtani was considering the Padres, but Friars were hindered by the fact that they couldn’t offer him more than $300,000 in a signing bonus — a penalty for going over the international signing limit in the 2016-27 season. The Angels, meanwhile, had close to $3 million to offer. The Padres, as a National League team, also couldn’t offer him a chance to be a designated hitter. Padres general manager A.J. Preller and the team have yet to comment on Ohtani’s decision.